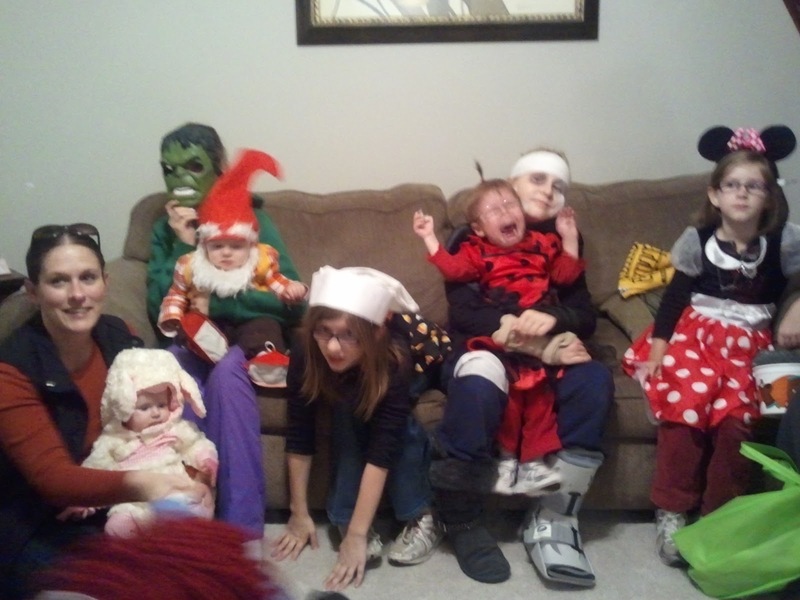 Don’t have a lot of time today… so lucky YOU just gets some SUPER fun pictures. 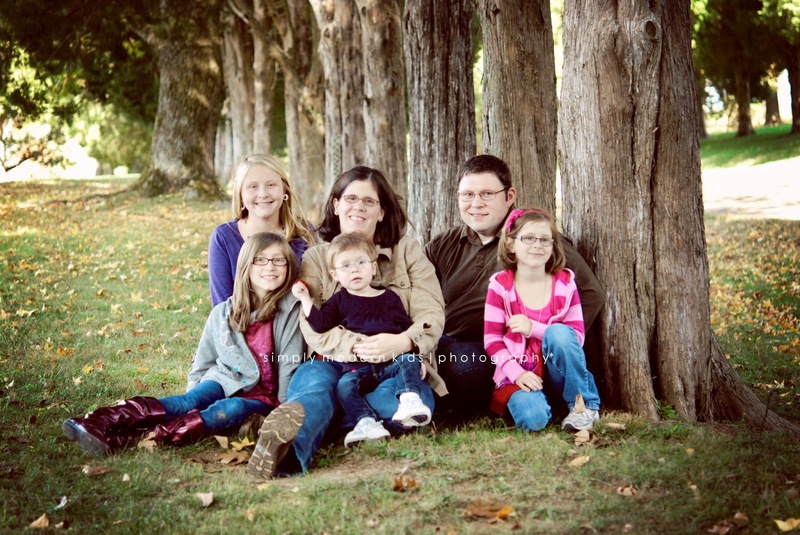 Last Sunday we went and had pictures taken. I only have a few that my sweet cousin posted on Facebook, but the rest are coming and I’ll share then!!! It was SUPER windy… so please ignore our slightly wind-blown super-model (HA) looks. 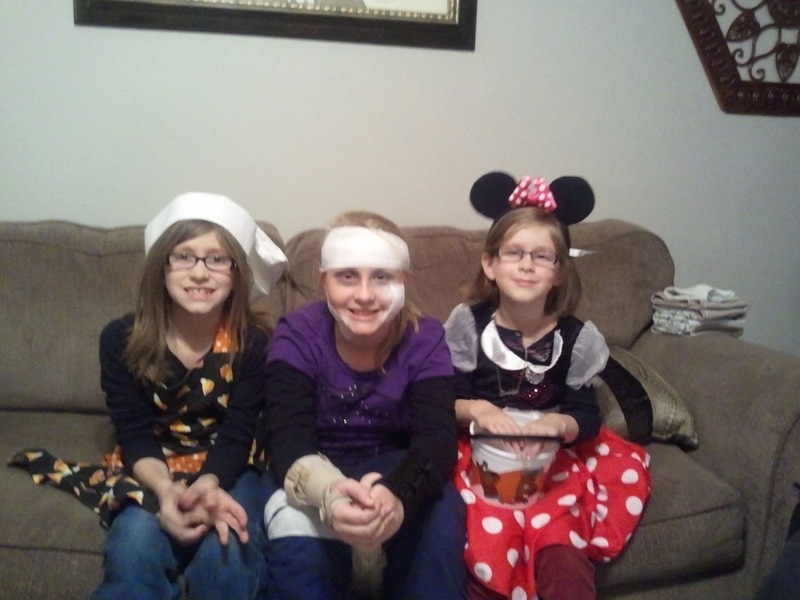 Then we have some halloween pictures! 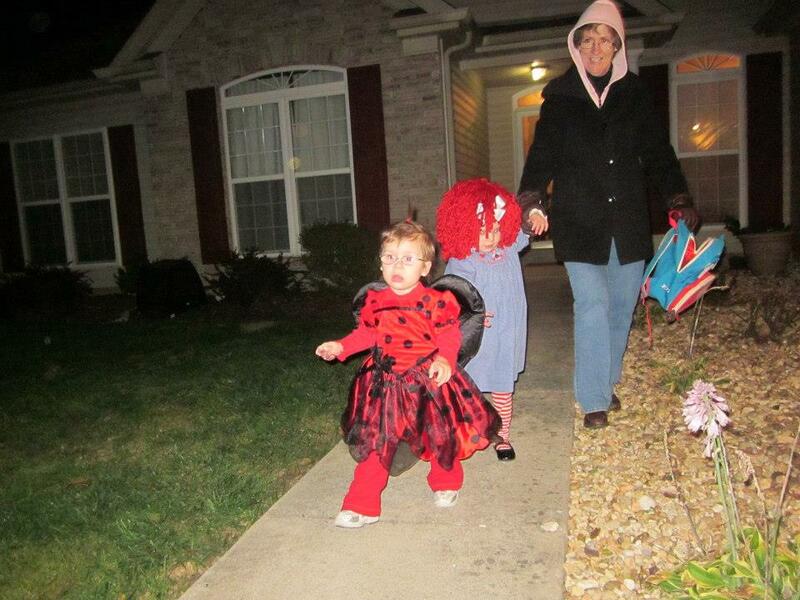 Annabelle the lady bug, her cousin Lyla aka raggedy-Ann, and Grandma Johnson! 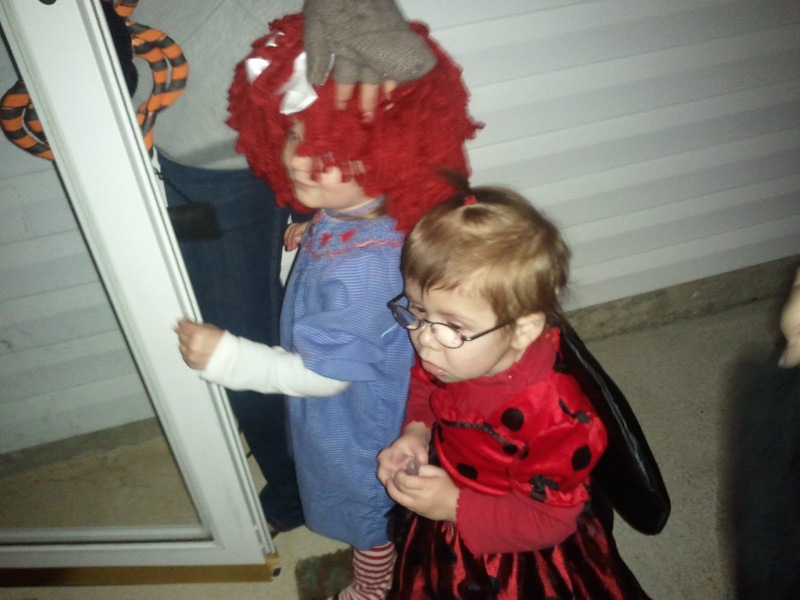 Annabelle loved trick or treating SO much that she tried to climb inside everyone’s house… literally. She’d push them aside and dive for the door. She was SO cute! 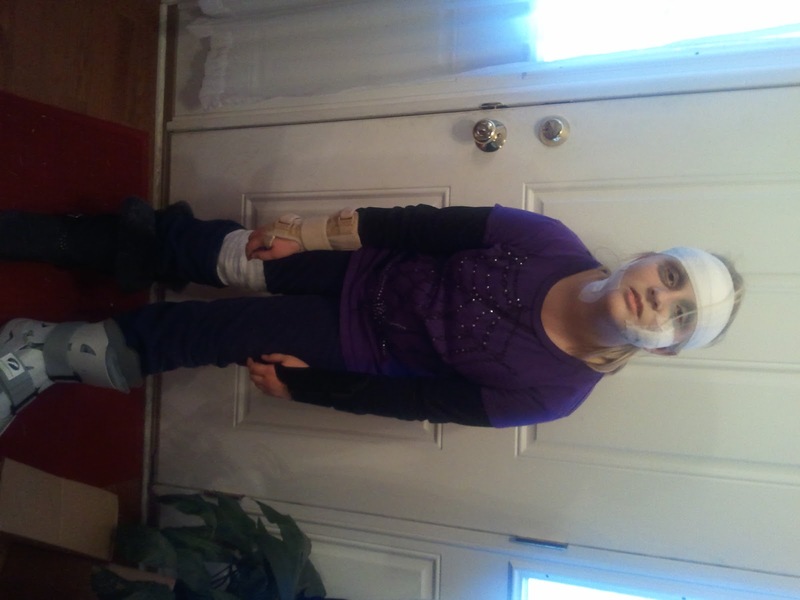 Karalynn dressed up as an injured person. About half of the houses we went to were like, “oh, no! Are you okay? ?” And were quite serious. It was HILARIOUS! 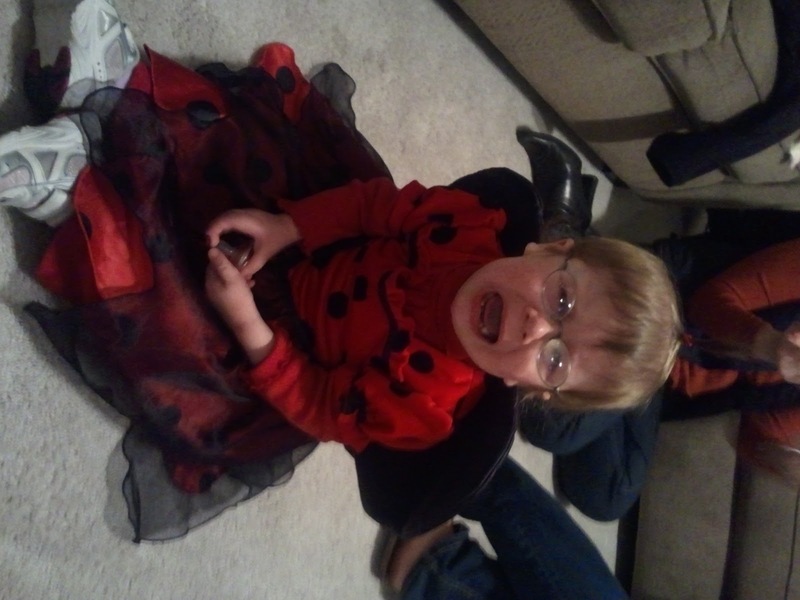 She wasn’t so pleased with her costume at first. She had a cute little hat with bug ears… but she would do this everytime we tried to put it on. Obviously, we went without the hat. Trick or treat, smell my feet, give me something good for my mommy to eat for me every though she really doesn’t neeeeeeeed it!!!!! Ohh! 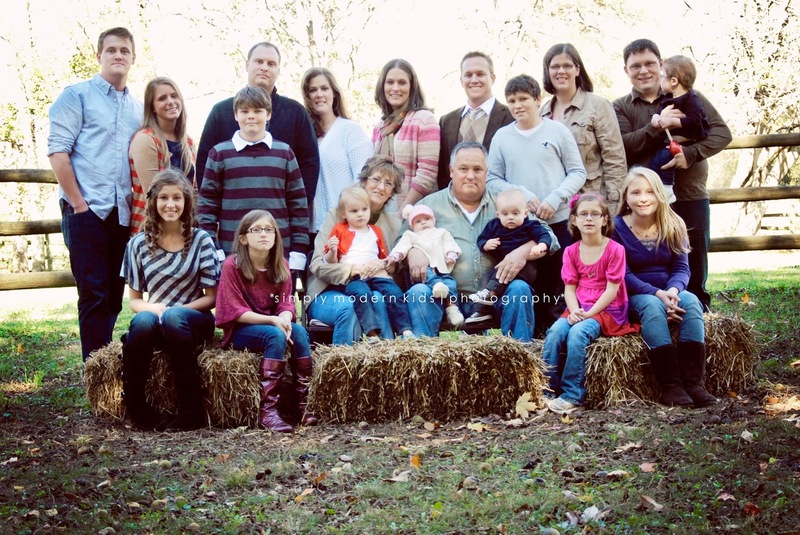 I love the picture of you and your family! GREAT shot! What great pictures. Love Gabby as Minnie Mouse. Annabelle is SO cute. too bad she did not want the hat. I have to admit that it's been a long time since I viewed this blog, but am so happy I stumbled across it today and saw how well Annabelle is doing. God bless her!